The new Union Customs Code (UCC) legislation raises many important procedural issues and business opportunities for companies involved in international trade covered by EU customs legislation. In the first in a series of articles, we at KGH give our view on its impact as well as valuable advice on how to act and what to do. Perhaps most importantly, we also talk about when – because acting sooner rather than later can give you and your company a valuable edge over the competition as well as minimizing any unnecessary costs and risks. 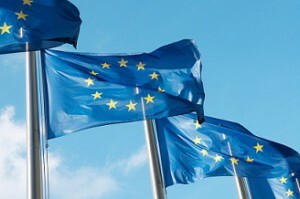 The European Union is about to implement brand-new customs legislation. UCC, short for the Union Customs Code, is the result of many years’ discussions, compromises and development. Together with parallel regulations, UCC aims to fully digitalise the communication between customs authorities and trade, while also simplifying and modernising customs procedures.The total impact on both trade and customs authorities will be huge, and UCC cannot be implemented all at once. The result is an implementation plan starting May 1st 2016 that will be on-going until December 31st 2020 and probably beyond. The UCC will affect all of us who are involved in international trade covered by EU customs legislation. The need for permits, work practices, competency and IT systems will become even more important than it is today. But in addition to the impact on future routines and systems, UCC will have an effect on companies’ core business, with threats as well as opportunities in the areas of costs, profit margins, risk and even revenue. We urge you to analyse the impact UCC will have on your business – and act accordingly. The major system-based changes requiring development of IT systems are mainly found late in the timetable (2019-2020). This might give a false impression that there is plenty of time to adapt. On the contrary, we would suggest that time is running out for those who have not yet started the adaptation process.Right now, the most important thing is to identify and investigate the need for all current permits and authorisations. Once that is done, you need to look into how and when the necessary permits and authorisations will be affected by the UCC to assure compliance with these potential new requirements. In some cases, there may even be new favourable procedures that should be taken into consideration to optimise your customs handling. Some changes will be implemented already May 1st 2016 (e.g. new rules to determine customs value, inward processing and processing under customs control, criteria for certain existing permits, etc.). The more far-reaching simplifications will be implemented in 2019-2020 (e.g. centralised clearance, self-assessment, proof of union status, etc. ).Through these articles, we hope you get some valuable insights and clear information to help you prepare as early and as well as possible for the changes ahead. And by all means, do not hesitate to contact us at KGH if we can help you with any specific questions.